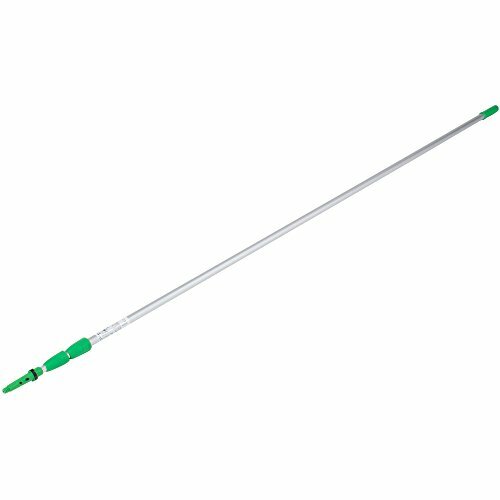 Reach all surfaces high and low with the Unger ED750 24 foot telescopic pole. This convenient unit has three sections that extend to a full length of 288", and the included Unger NCAN0 ErgoTec locking cone makes it easy to attach an array of Unger products with locking or Acme threaded connections as well as tapered handled tools. It's great for use when cleaning windows, hoods, or other hard-to-reach places! The quick-release S spring makes the switch quick and easy.